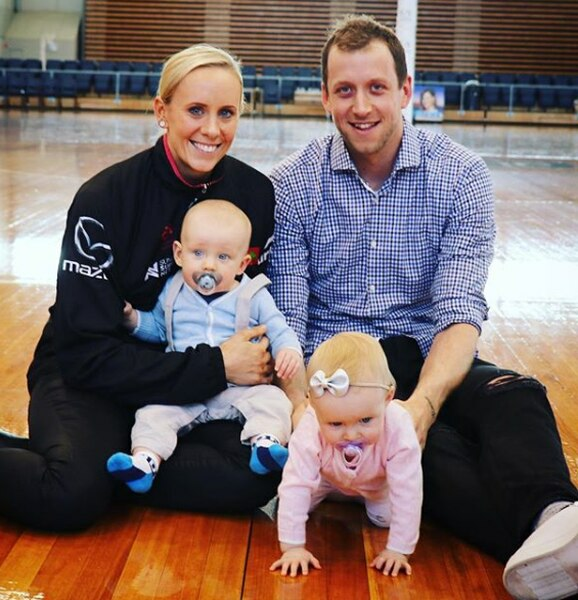 Courtesy Renae Ingles’ Instagram Renae and Joe Ingles pose for a photo with their twins Milla and Jacob last year. Each time Joe Ingles repeats his gooseneck shooting form, his calling card over his five NBA seasons, two names — Jacob and Milla — are shown off to the world thanks to a tattoo on the inside of his left wrist. Now two-and-a-half years later, the Ingles family announced publicly Wednesday on Australian media site Exclusive Insight that their beloved Jacob was diagnosed with autism in January. But the Ingleses credit Snyder for being understanding with Ingles’ situation. Ingles has played and started all 57 games for the Jazz this season, and is second on the team in minutes played while averaging career highs in points and rebounds per game. He’s taken a bigger role in terms of usage this year than any other, as the Jazz lean on him more for his playmaking ability on the court. Renae’s Australian netball team, the Melbourne Vixens, have also been supportive. Since the diagnosis, the family reports, Jacob has been through various therapy sessions — weekly speech therapy, occupational therapy, and applied behaviour analysis — spending up to 30 hours per week doing so in the Ingles’ home. That therapy is one reason the Ingleses went public with Jacob’s diagnosis: they want families in similar situations to have the chance to recognize autism early. “Through early intervention, we have already seen such a big change in Jacob, and there are endless amounts of support now for kids, families and people on the spectrum. Awareness is so important, so we are spreading the word,” they wrote. And most of all, they want the world to know of their love for their son.